Solid Signal provides cell phone signal booster systems for the oil industry. Because of this, we get questions from oil rig workers. Some asked us if a cell phone booster would improve connectivity on the offshore oil rig they work on. These hardworking oil rig crews want to stay in touch with their friends and families while they’re out to sea. 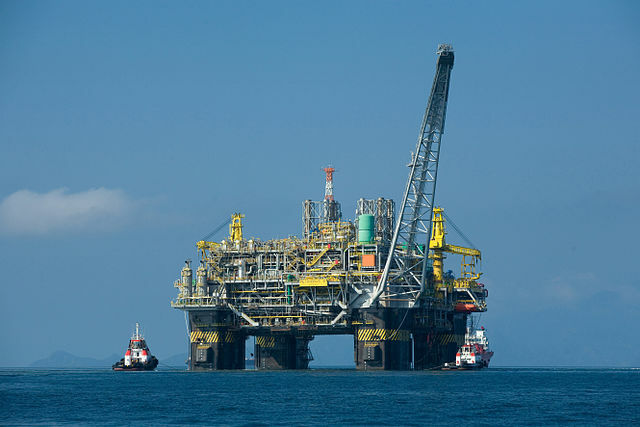 Unfortunately, a cell signal booster won’t help improve cell phone connectivity on most offshore rigs because these structures are typically too far away from the nearest cell phone towers. That said, there is something you can get to make your workers’ stay on the platform more enjoyable. Even if your oil platform is three to four miles offshore, you can probably get DIRECTV. This satellite TV service is a great source of entertainment for oil rig crews on their breaks and rest periods. DIRECTV can deliver a huge variety of news, sports, and entertainment programming to a variety of TV receivers on your oil rig. You can offer this service in the office, mess hall, and barracks. DIRECTV is an excellent reward for crews who work long hours in temperatures that are either too hot or too cold. They’ll love the tens of thousands of on-demand channels at the push of a button. DIRECTV also is the only provider that gives your crew the option of a real DVR. This means they can pause live TV and schedule recordings for when they’re on their shifts. Some of your oil rig workers might already have DIRECTV at home. Offering this satellite TV service on the offshore oil platform gives them the programming and operations that they’re used to. They’ll enjoy using a familiar remote control and guide that they’ll respond to instinctively. Other workers who don’t have TV will also enjoy all that amazing programming. It’s truly a win-win for everyone involved. It’s not uncommon for offshore oil platforms to also have boats and boat crew as part of their operations. That oil that’s been extracted from beneath the earth has to be shipped, after all. These boat crews can enjoy this premier satellite TV service too. Using the same type of marine satellite domes that are used on oil platforms, you can have DIRECTV on your working craft. This lets your crew catch up on their favorite shows and important games during their down time. While oil rig workers can’t benefit from a cell phone booster, they can get DIRECTV where they work. How? By calling Signal Connect, a division of Solid Signal. The folks at Signal Connect are DIRECTV Authorized Dealers. These folks can match you with the right DIRECTV viewing package with a marine satellite dome and other equipment you’ll get from us here at Solid Signal. Together, you get this premier satellite TV service at your company’s oil rig. When oil and gas companies work with Signal Connect, they enjoy the benefits of our concierge service. This means you get FREE account management for the life of your account. If you need something changed on your account, an update to your programming, or help with rare DIRECTV connection issues, you just pick up the phone and call your Signal Connect rep. Do you want to know more about DIRECTV for your offshore oil rig or drilling platform? Give Signal Connect a call at 866-726-4182. A DIRECTV expert is waiting to answer your questions and offer help to petroleum companies.